The Yamuna is considered holy. But over several decades, it has become so polluted, it no longer evokes the pristine images the puranas painted of it. Thinking of the Yamuna, in fact, brings to mind images of black water, expanses of white foam, dry stretches, pesticide-laden farms growing vegetables on the floodplains along Delhi, festivals that are a riot of gulaal, puja items and idols brought for immersion. The river is choking to death despite 22 years of monitoring by the supreme court and thousands of crores being spent on cleaning it. Some voluntary groups, however, have kept up a valiant fight. Among them is the Yamuna Jiye Abhiyaan, which has completed 10 years. Set up on February 7, 2007, this civil society campaign has carried out research and led campaigns to protect and rejuvenate the river. In 2007, twenty-two people from seven environmental NGOs signed an MoU for ecological restoration of the Yamuna. They were: Toxics Link, Lawyers Initiative for Forest and Environment (LIFE), Centre for Media Studies (CMS), Paani Morcha, Ridge Bachao Andolan, Maatu Jan Sangathan and PEACE Institute Charitable Trust. The YJA came into prominence within a year of its foundation when it took part in the Yamuna satyagraha, protesting against the construction of the Commonwealth Games Village and a Delhi Metro depot on the Yamuna floodplains. 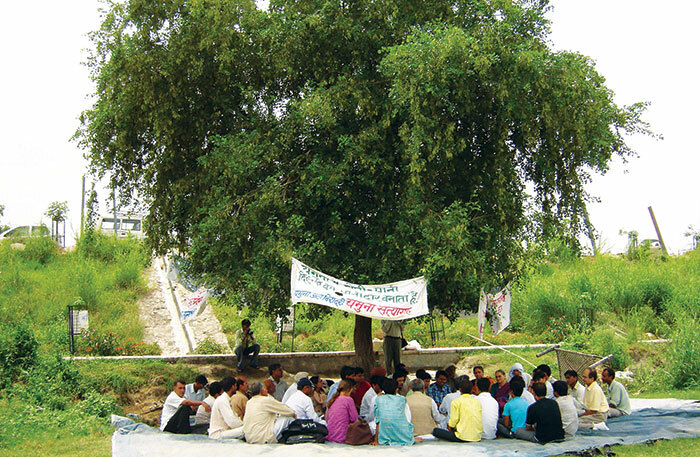 Sitting under a large shisham tree near the land slated for construction of luxury apartments for the games, activists of the YJA and other groups mobilised a large number of people for the cause of the river. 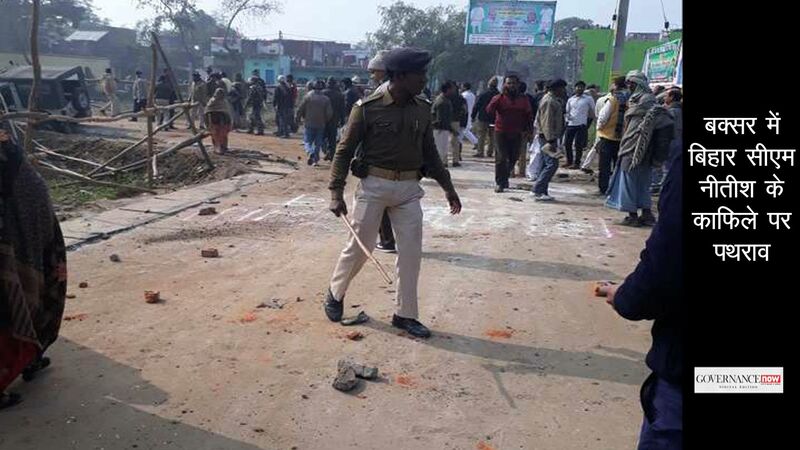 Their satyagraha continued for two years, but in 2009, the supreme court gave the go-ahead for the construction of the village. But the import of what the activists had been saying was driven home when heavy rain in 2010 caused major flooding at the village site, besides in other parts of the city. One of the efforts of the YJA that led to a landmark judgment by the National Green Tribunal (NGT) related to a pushta, or embankment, in the Geeta Colony area of east Delhi. The embankment was meant to break the force of flood water, but people had started dumping building debris and other material there. The YJA filed a complaint with the tribunal in 2012, and on January 13, 2015, the tribunal said in its verdict: “Any person who is found dumping debris on the river bank in the Geeta Colony site and for that matter in any site shall be liable to pay a sum of Rs 5 lakh for causing pollution.” Manoj Misra, convener of the YJA, says this was a significant judgment, not only for the Yamuna but also for other rivers. But he rues the fact that, despite the court orders, the city and state government authorities are not doing anything to control dumping of debris, garbage, plastic and other material at the site. In January 2017, the Abhiyaan won a six-year battle for removal of the DTC millennium bus depot on the Yamuna floodplains. It was built as a temporary structure to park buses used to ferry athletes for the 2010 Commonwealth Games. Environmentalists had opposed this, and finally on January 13, the supreme court gave DTC an ultimatum that the parking area should be vacated by February 4. “The depot was constructed on a fly ash dump, which leads to arsenic pollution in Yamuna. So it was recommended to remove the whole thing including the soil and add fresh soil,” says Misra. Clearly, the YJA’s persistent research, campaigning and advocacy have lead to many significant rulings. But what has been its biggest accomplishment so far? “The Yamuna Jiye Abhiyaan has prevented the river from being split into pieces. Had we not gone to the Yamuna Standing Committee (YSC), then there would not have been any true bridges on Yamuna...there would have been cross embankments,” says Misra. He says a lot of “pseudo bridges” were being constructed on the floodplains, such as the Hazrat Nizamuddin railway bridge, the DND flyway and the DMRC Yamuna Bank. A “pseudo bridge”, he explains, is one which is raised over the lean season flow of a river with the approach road being a cross embankment. It severely impacts a river’s ecology, including its ability to convey flood waters downstream freely. “If true bridges would have been constructed, there would have been no Akshardham temple and Commonwealth Games Village,” he elaborates. Before the phase-III Metro line was constructed, crossing the Yamuna, the YJA approached the Yamuna Standing Committee. “As a result, the new Metro line is a built on a true bridge. Even Barapullah flyover phase-III is on pillars and true bridge,” he says. But the battle is not yet over. The National Highways Authority of India (NHAI) is planning to build two new ‘pseudo bridges’ on the Yamuna, on either side of the existing Nizamuddin bridge, for the Delhi-Meerut expressway. And the YJA is leaving no stone unturned against this new assault on the river. 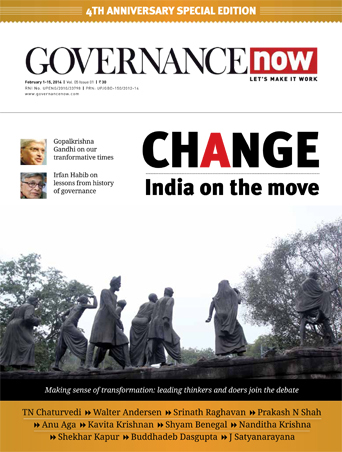 It wrote a letter to the Delhi chief minister and the then Leiutenant governor, Najeeb Jung, detailing the demerits of such pseudo bridges and made several suggestions. The YJA has also seen many lows, such as the building of the Commonwealth Games village and the holding of the Art of Living event. Besides, the river continues to remain dirty. So what keeps the movement going, despite trying times? “When we started the YJA, we knew there will be setbacks. Some things we want will happen and some will not. So we took a very crucial decision from day 1. We decided never to think of tomorrow. We will only think of what we will do today. We are never worried about tomorrow. We are trying to serve the river. That has always been our attitude. We never got frustrated or thought of shutting down our work,” says Misra. But who is actually responsible for the mess? According to Misra, it’s the town planning authorities, the Delhi government, the Delhi Jal Board and people in general. “Today, east Delhi has become 100% sewered. There are sewer lines everywhere in the area, but 50% of people have not taken any sewerage connection. 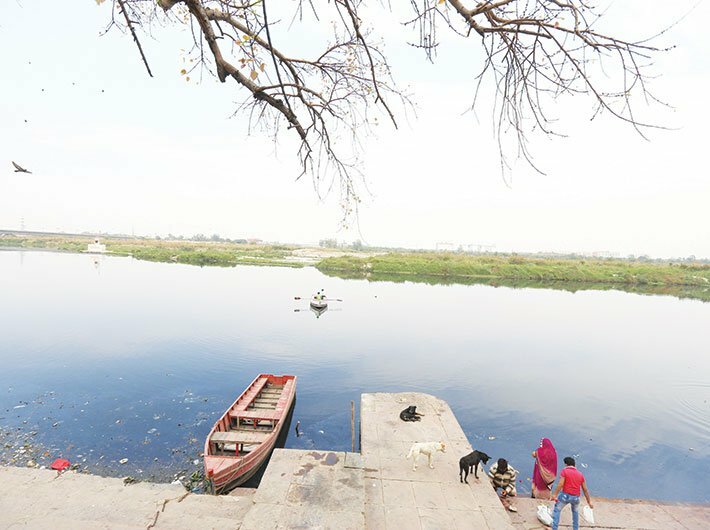 As a result, their sewage flows directly into open drains which pollutes the Yamuna,” he says. To plug it, Delhi water minister Kapil Mishra has constituted a four-member committee to prepare a report on how the problem might be overcome. The YJA, in collaboration with the DJB, came up with a report called ‘Fixing the Stink: Status report on making the sewerage system work for the people of NCT of Delhi’. It is to be submitted to the minister soon, and it is claimed that if implemented in two years, the suggestions will clear the sewerage mess of Delhi. There’s one more thing, according to Misra, that is killing the Yamuna: a general lack of appreciation of what a river is. “The river is a dynamic system and is always changing. Neither the government, nor the officials or the common man understand what a river is, what are its restoration needs, and why it must be conserved. Because of this, the Yamuna and other rivers are in such a state today,” he says. In such a scenario, is there any hope for the Yamuna, or will it continue to pay a heavy price for human greed? And most importantly, is the government any bit serious in reviving it? “The current government certainly is,” says Misra. “The previous one [Congress] was absolutely opaque and steeped in corruption. They did not even engage in talks. Both the BJP and AAP, though they are at loggerheads with each other, are serious about the river. Kapil Mishra is a product of the Yamuna satyagraha and is very serious about the Yamuna. We are hopeful and think a turnaround for this river should happen in another five years. If it does not happen, then it will never happen, because such a positive government can never come back again,” he adds. And as far as the YJA goes, he says, it was and always will be there for the river.